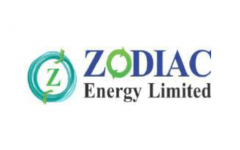 Business description - Zodiac Energy is an energy solutions provider company having experience of more than two decades in majority of verticals of power generations spectrum. Its spectrum of services includes design, supply, installation, testing and commissioning (EPC) and operation and maintenance (O&M). In short, it provides turnkey solutions from concept to commissioning of power plants. The company has installed solar power plants for many prominent clients like Sun-Edison India Limited, Adani Group, Torrent Power Limited, Gujarat Energy development Agency, Reserve Bank of India, Directorate of Lighthouse and Lightships Government of India (GoI), Indian Oil Corporation Limited to name a few. The company has installed more than 6,000 KW of Rooftop solar power plants till now and it envisages to reach at 10,000 KW by end of 2017-18. Zodiac Energy IPO allotment status is now available on Link Intime’s website. Click on this link to get allotment status.